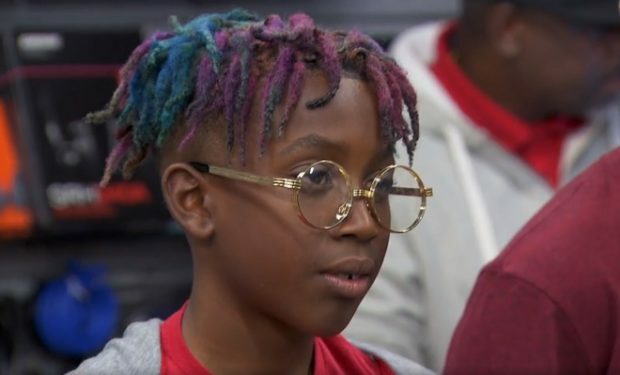 Season four of The Rap Game features five young rappers who are competing for a contract with music producer Jermaine Dupri. Week after week, Dupri challenges the kids and provides them with huge opportunities. On the December 1 episode, the kids get to rap with the legendary human beatbox Doug E. Fresh. While the youngest rapper on the show, 11-year-old Jeremiah aka Street Bud, was born decades after the beatboxing craze in the 1980s, he seems to do alright when it’s his time to perform with Fresh. Street Bud isn’t shy about hiding his admiration for successful men in the entertainment and sports industry. On his 2016 album “Get Cha Mind Right” is the song “Steph Curry” featuring 2Crucial. It’s an ode to the Golden State Warriors MVP that starts with the lyrics, “Makin threes like Steph Curry/ Getting pass like I’m in a hurry.” Street Bud is easy to root for: he’s trying to break the mold by rapping about being a good kid, staying out of trouble and getting good grades. Curry went to Davidson College, one of the nation’s elite educational institutions, before the NBA. And while he might have skipped a couple of classes, he also likes to rap. See video below of Curry as a student rapping about college life on campus. The Rap Game airs Fridays at 10pm on Lifetime.